S. African Prosecutors To Seek Murder Conviction Against Pistorius : The Two-Way The double-amputee Olympian was convicted earlier this year of culpable homicide, or manslaughter, in the shooting death of his girlfriend. He is serving a five-year prison sentence. Oscar Pistorius is escorted by police officers as he leaves the high court in Pretoria, South Africa, on Oct. 17. A South African judge ruled today that prosecutors can appeal the culpable homicide verdict handed to the athlete for killing his girlfriend Reeva Steenkamp. Oscar Pistorius will see another day in court. A South African judge ruled today that prosecutors can appeal the culpable homicide verdict handed to the athlete earlier this year for killing his girlfriend Reeva Steenkamp. He will now face murder charges. While granting the appeal, Judge Thokozile Masipa dismissed prosecutors' bid to appeal Pistorius' five-year prison sentence. The prosecutor in the case had argued that the sentence was "shockingly inappropriate." As we've reported, Pistorius shot Steenkamp dead through a locked toilet door in his home on Feb. 14, 2013. In her decision at the time, Masipa said there wasn't enough evidence to support the notion that Pistorius knew that Steenkamp was behind the door. Pistorius had maintained that he thought he was shooting an intruder. And while he was convicted of culpable homicide — roughly equivalent to manslaughter — he was found not guilty of the more serious charge of premeditated murder. The case will be heard next year by the country's Supreme Court of Appeal, and, Masipa said, "I cannot say the prospect of success at the Supreme Court is remote." 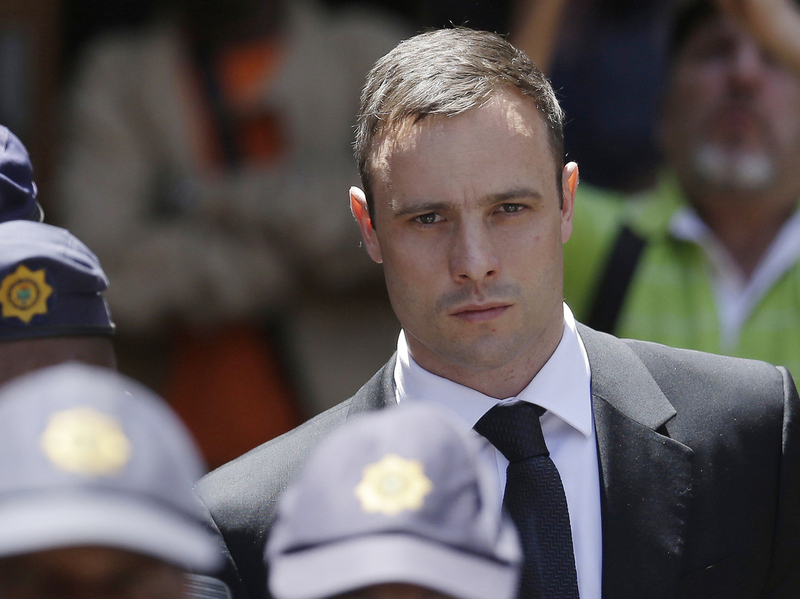 If convicted, Pistorius faces at least 15 years in prison. Pistorius, 28, is a double-amputee track star who has run in both the Olympics and the Paralympics.